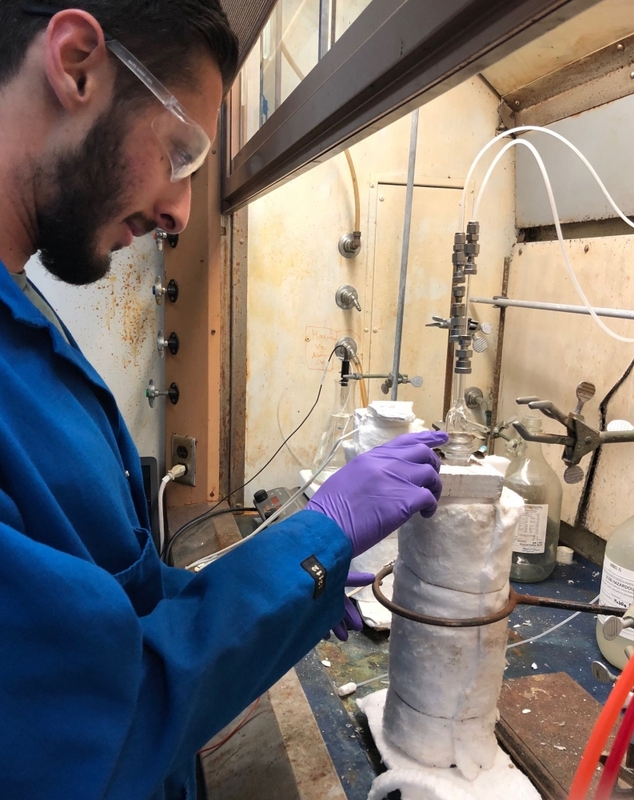 The Tirrell Award for Distinction in Undergraduate Research has been awarded by the College of Engineering to Chemical Engineering senior Alexander Khechfe, in recognition of the excellence and promise he has shown in research pursuits. The award was presented at the College of Engineering commencement ceremony on June 17, 2018. College of Engineering Dean and Richard A. Auhll Professor, Rod C. Alferness, was in attendance during the ceremony (pictured on left with Alexander Khechfe). His main research focus is on designing carbon-free energy technologies, generating cheap, CO2-free fuels using principles from catalysis, reaction engineering, and energy conversion. The motivated student embraces the creativity that comes with solving chemical engineering problems. Professor Eric McFarland’s research areas include energy, efficiency, and sustainability, with a focus on coupling fundamental processes at surfaces with novel material systems to enable economically and environmentally sustainable production of chemicals and power in real industrial processes. The Tirrell Award for Distinction in Undergraduate Research is presented at the College of Engineering’s annual Senior Send-Off event and awarded annually by the College of Engineering to recognize graduating seniors who have shown excellence and promise as a researcher during their academic career. The award was established in 2009, in honor of former Engineering Dean, Professor Matthew Tirrell. Khechfe recommends all incoming Chemical Engineering undergraduates find a good mentor, whether it’s an older undergraduate, graduate or post-doc in a research group, professor, or employer.